Lebanon Valley College has announced it will add esports to its varsity athletic program in the spring of 2018. Esports will serve as Lebanon Valley College’s 26th varsity intercollegiate athletic program and its first co-ed sport. It will be the fifth new program added since the beginning of the decade, along with men’s and women’s lacrosse (2009–10), women’s golf (2013–14), and women’s ice hockey (2016–17). LVC will compete as a member of the National Association of Collegiate Esports (NACE), the country’s most prominent organization dedicated to competitive collegiate video gaming. Student-athletes will take part in national competitions for Blizzard Entertainment’s Overwatch and Hearthstone, as well as Riot Games’ League of Legends beginning in the spring 2018 semester. With only about 50 institutions in the nation currently offering a varsity intercollegiate esports program, Lebanon Valley joins the forefront of the esports phenomenon. LVC players will compete and practice as a team using gaming-specific computer technology in Clyde A. Lynch Memorial Hall. In the future, spectators and peers will be able to join and cheer on student-athletes at contests held in the viewing center or watch live via online broadcast services. LVC’s latest endeavor coincides with its commitment to campus and community, with the Athletic Department joining the offices of Information Technology, Student Affairs, and Academic Affairs in the collaborative effort to provide this unique opportunity to a growing population of modern student-athletes. 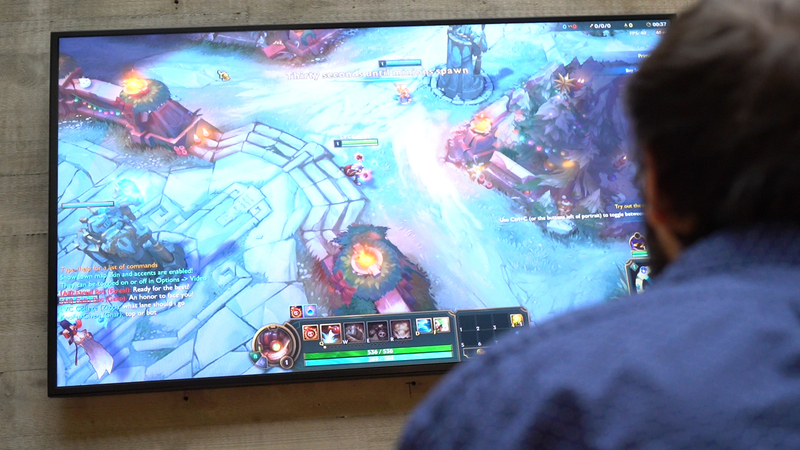 Similar to the College’s other 25 varsity sports, the esports program will be provided with uniforms and necessary equipment essential to fostering success. Since its establishment in the early 2000s, esports has seen rapid growth in participation and viewership. According to ESPN The Magazine’s June 22, 2015 esports issue, the 2014 League of Legends championship drew an online viewership of 27 million people, which is more than the NBA Finals (15.5 million), the World Series (13.8 million) and the Stanley Cup Finals (5 million). 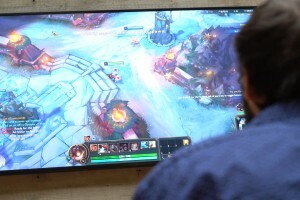 DOTA 2—another popular esport—drew 20 million viewers that same year, according to the article. Most recently, Bryan Armen Graham wrote a piece for The Guardian highlighting the discussion between the Paris bid committee and the International Olympic Committee (IOC) to add esports as a medal event at the 2024 Olympic Games. Prospective LVC students interested in the College’s esports program should access the sport’s recruiting questionnaire here.